Abuse, whether it is physical, emotional or sexual, is a traumatic experience that can happen to anybody regardless of their age, race or background. That’s why it’s so important for us all to use our voices to create awareness and stand up against it. She launched a social media campaign called #MakeItStop to create awareness about domestic violence in South Africa. She uses her social power and other celebrities’ voices to reach as many people as possible to stand up for a worthy cause. What a Queen! Jozina is a strong Queen who was motivated to start Khuhluka Movement after she suffered at the hands of an abusive partner, and was left blinded in the left eye as a consequence of the abuse. Today, Khuhluka’s aim is to engage and inspire thought leaders to take serious action against Gender-Based violence. Not only does this Queen speak out against abuse, but her focus is also on improving and building shelters for survivors through her organisation. Thandiswa has always been loud about her activism against abuse. She uses her voice to speak up for those who can’t speak for themselves and always encouraging people to come out in numbers to take a stand against abuse. For the recent #TheTotalShutdown march, Thandiswa not only supported the march but also encouraged her followers to join the march against Gender-Based violence. This actress is one of the ambassadors of the Blow the Whistle initiative. Her goal is to continue creating awareness about the violence - especially women and children - have to endure by shaking people out of their comfort zones, so that they too can stand up for those who can’t stand up for themselves. 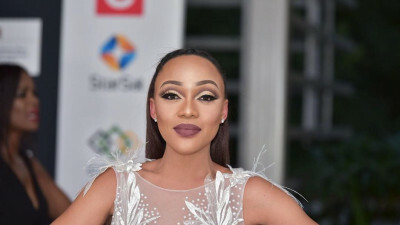 Dineo is not shy to call out people who joke about abuse on social media, but she doesn’t miss the opportunity to educate them about the seriousness of Gender-Based violence. She firmly believes that we all have a human responsibility towards one another, so we should take care of each other and not turn a blind eye towards victim-blaming and abuse. Gender-based violence is something that affects us all because we all know at least one person who has been abused or harassed. We don’t have to be victims ourselves in order to speak out against it, we just need to be willing to lend our voices to bring an end to it. That’s why I am so inspired by the queens who speak out, even those that are not mentioned in this list. To read about 5 Queens who survived abuse, read this article. Remember, if you need someone to talk to, you can speak to me for advice or help here on Ask Choma, send me a Facebook Message, a Twitter DM, or a WhatsApp Message (071 172 3657).